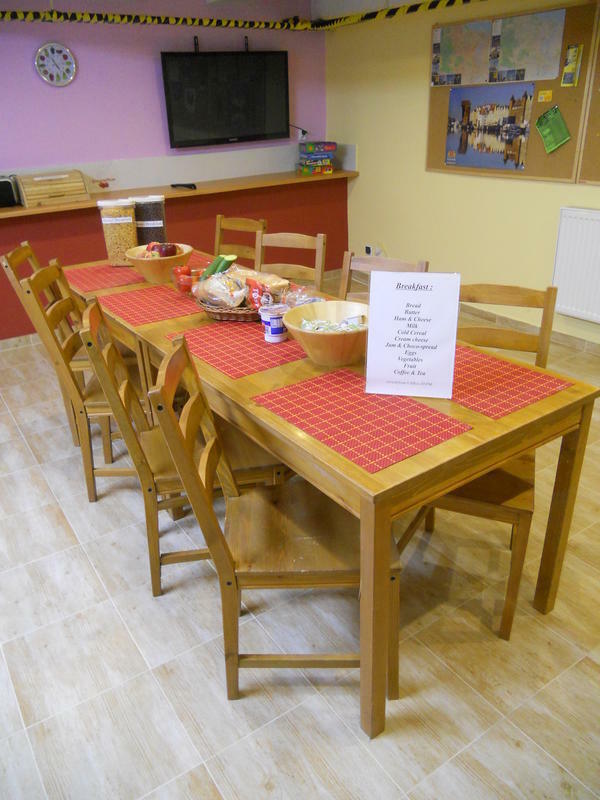 JustHostel is a facility offering probably the cheapest accommodation near the centre of Gdansk. JustHostel is situated in a large three-level house in the estate of detached houses. In the garden you can pitch a tent, organise a grill or a bonfire. 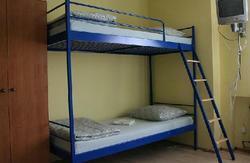 We offer 18 room: double, triple and quad rooms, among them 3 with bathroom and mixed dormitories with bunk-beds. Their standard is similar to hotel rooms and they are equipped with new furniture and TV. High-quality Bonella spring mattresses on beds guarantee the comfort of sleep. In corridors there are four bathrooms with the total number of 9 showers , 5 toilets and 7 washbasins. 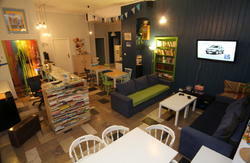 We offer also access to equipped laundry and a free car parking. JustHostel is located very conveniently 10 minutes of driving distance (by car) from the central railway station in Gdansk and 10 minutes of driving distance from the Stogi beach. From our Hostel it will take you about 25 minutes walk to reach the main attractions of the Old Town, such as the Long Market, the Crane, the Green Gate, the Artus Court or the famous Neptunes Fountain. In the city centre you can also visit shopping galleries, cinemas and numerous clubs, pubs and restaurants. A trip to the Tri-City with family or friends is an excellent idea for a holiday and entertainment at a reasonable price! Take bus number 210 to Gdansk Glowny train station (about 40 min). Alternately, a taxi costs around 60-80 zloty; always ask for receipt from the driver. Receipt must be printed from the cash register. You can either walk or take a tram. It should take about 20 minutes on foot or nine minutes by tram. Take tram no 9, 8 or 3, going in the direction of Stogi. Get off at the sixth stop; it's called Brama Zulawska. Walk left under the road and take the first street on your right (Dluga Grobla street). Look for number 7 - there's a taxi rank just in front of hostel building. Walk around the building to the back to see a mural saying 'Old Town Hostel'. Our entrance is through the yard.